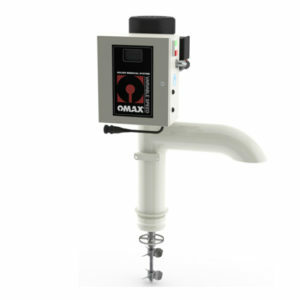 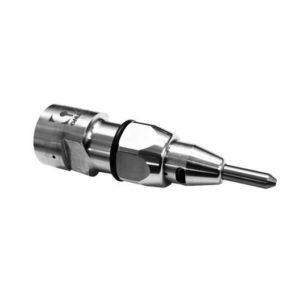 The OMAX Collision Sensing Terrain Follower allows a JetMachining® Center to automatically and accurately cut parts from materials with irregular or warped surfaces without the need for special programming. 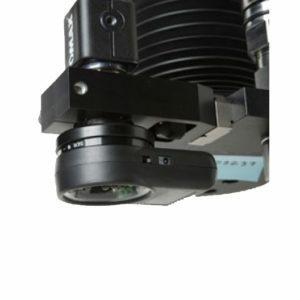 The Terrain Follower attaches directly to the machine’s Z-axis. 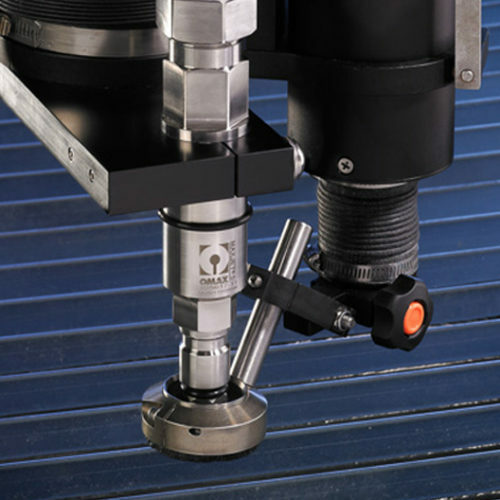 Changes in a material’s height are detected and the Z-axis automatically makes the required height adjustments, maintaining the necessary cutting standoff (typically within ± 0.020”). 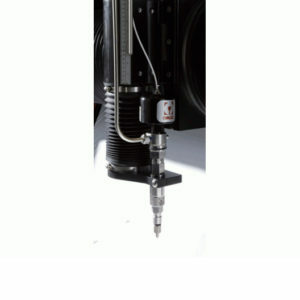 A collision detector pauses jet motion if obstructions are in the path of the nozzle.